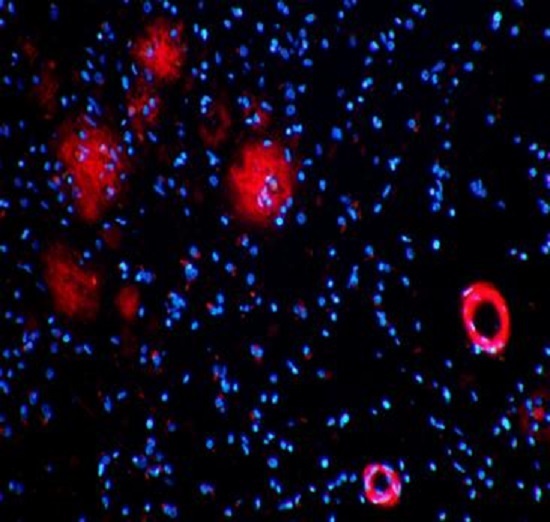 Researchers have discovered clearance of Alzheimer’s protein across the blood-brain barrier. Alzheimer’s is the most common form of dementia globally and affects up to 40,000 people in Ireland today. It is the fourth leading cause of death in individuals over the age of 65 and it is the only cause of death among the top ten that cannot be prevented, cured or even slowed down. The condition is classically associated with memory loss. However, other symptoms and warning signs include difficulty performing familiar tasks, problems with language such as forgetting phrases or words, and changes in mood, behaviour and personality. Now, a study from researchers Trinity College has shown that there is a periodic clearance of a specific protein, known as amyloid-beta, across the Blood-Brain Barrier. The team state their findings could be the key in developing new therapies. The opensource study is published this week in the journal Science Advances. Previous studies show that Alzheimer’s disease is characterized, in part, by the build-up of amyloid-beta (Aβ) in the brains of patients. Impaired clearance of this protein appears to be a major factor in the build-up of plaques, and then in the disease process itself. While the mode by which Aβ is cleared remains unclear, it is evident that it needs to be removed from the brain via the bloodstream. Unlike blood vessels anywhere else in the body, those in the brain have properties that strictly regulate what gets in and out of the delicate tissue, this is what is known as the blood-brain barrier (BBB). CNS endothelial cells along with astrocytes and pericytes constitute the blood-brain barrier (BBB), a complex and dynamic system that acts as a biological interface between blood and brain. Earlier studies show that the BBB functions as a tightly regulated site of energy and metabolite exchange between the brain tissue and the bloodstream. Whereas transport of Aβ across the BBB can occur via transcellular endothelial receptors, the paracellular movement of Aβ has not been described. The group states that their new study shows that soluble human Aβ can diffuse across the paracellular pathway of the BBB in tandem with a decrease in the tight junction proteins claudin-5 and occludin in the cerebral vascular endothelium. The current study has shown that distinct components of these blood vessels termed tight junctions are altered in Alzheimer’s disease. The lab hypothesize that this alteration could be an entrained mechanism to allow for the clearance of toxic Aβ from the brain in those living with Alzheimer’s disease. Working with the Dublin Brain Bank in Beaumont Hospital, the group examined brain tissues of individuals who were affected by Alzheimer’s disease during their lifetime and then compared results to those observed in model systems in the laboratory. The lab also validated these findings using a mouse model in which the tight junction proteins, claudin-5 and occludin, were targeted using RNA interference (RNAi). Data findings show that this facilitates the diffusion of Aβ(1–40) monomers across brain endothelial cells in vitro and size-selectively modulates BBB permeability in vivo. The results show, for the first time, the involvement of the paracellular pathway in autoregulated Aβ movement across the BBB and identify both claudin-5 and occludin as potential therapeutic targets for AD. These findings also indicate that controlled modulation of tight junction components at the BBB can enhance the clearance of Aβ from the brain. The team surmise that the concept of periodic clearance of brain Aβ across the BBB could hold tremendous potential for Alzheimer’s patients in the future. For the future, the researchers state that the next steps are to consider how this might be achieved. A human donor Alzheimer’s disease brain tissue stained with an agent called ‘congo-red’, which allows for the visualization of amyloid-beta plaques (red) in the brain and surrounding blood vessels. Blue stains show the nuclei of the cells in the brain. Credit: Dr Matthew Campbell, 2015.